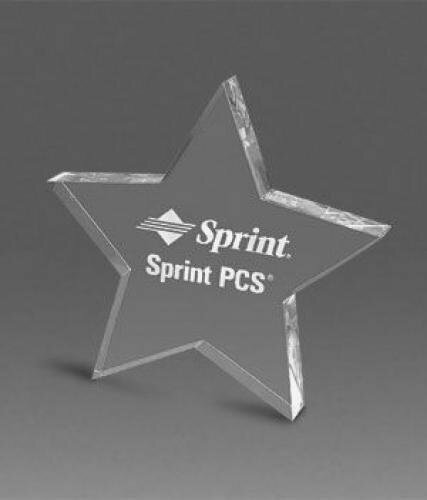 Clear - 5" x 5"
Star Tower Awards are a 2 inch thick clear acrylic with either a gold or blue mirrored base. The mirror reflects a blue or gold tent throughout the star tower. 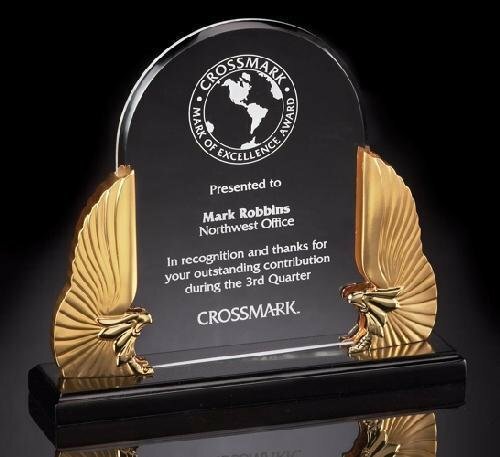 This award is laser engraved on the back giving the engraving a beautiful depth and elegant appearance. Blue Mirrored Base - 3.5" x 6" x 2"
Blue Mirrored Base3.5" x 8" x 2"
Blue Mirrored Base3.5" x 10" x 2"
Gold Mirrored Base - 3.5" x 6" x 2"
Gold Mirrored Base - 3.5" x 8" x 2"
Gold Mirrored Base - 3.5" x 10" x 2"
Stone Triple Edge acrylic awards have a smooth front and a black background. The back edge has 3 levels and a stone appearance. 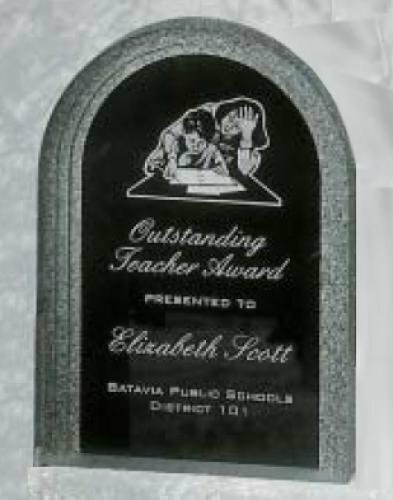 This award is laser engraved on the back giving the engraving a beautiful depth and elegant appearance. 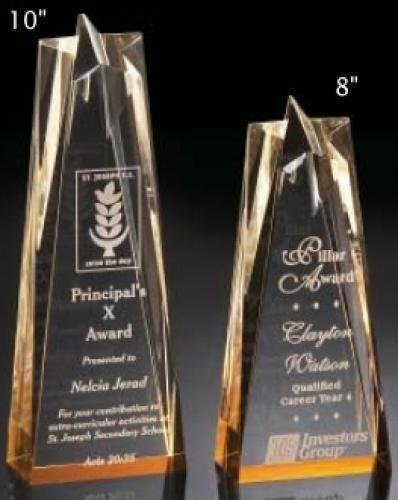 3.5" x 4.5" x 3/4"
The Stone Triple Edge Gold Post acrylic award is 1/4"" thick with a smooth front and a black background. The back edge has 3 levels with a stone appearance. The acrylic is supported with 2 gold posts. This award is laser engraved on the back giving the engraving a beautiful depth and elegant appearance. This beautiful eagle acrylic award is part of our patriotic collection. 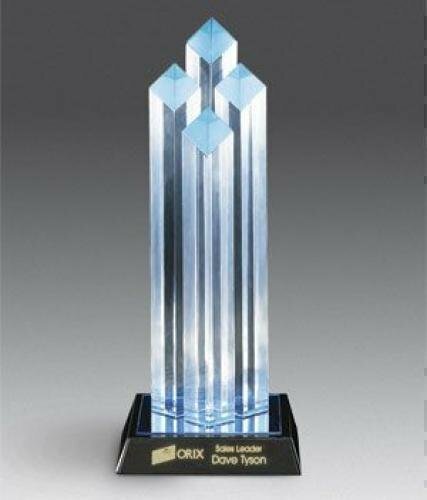 This acrylic award is perfect for recognizing high achievement or accolades of appreciation. 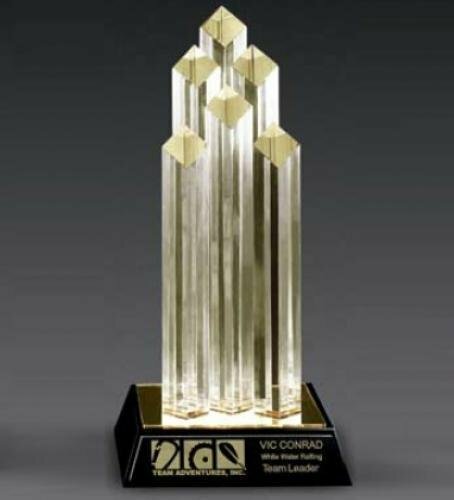 The Diamond Towers Award makes an elegant corporate award for recognizing exceptional achievement. 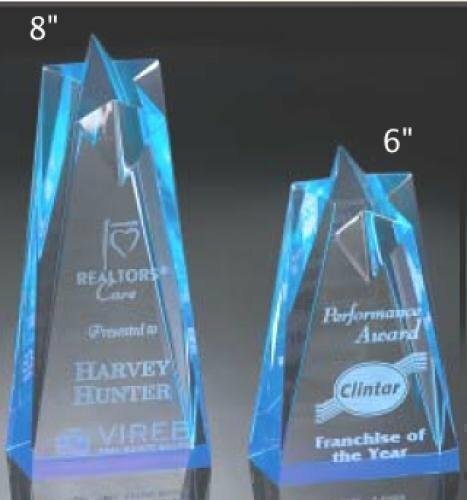 The acrylic awards contains 1 inch thick clear acrylic diamond shaped towers with a choice of a reflective gold or blue mirrored bottom. They are majestically presented on a black base with a laser engraved black brass plate. Three sizes have 4 diamond columns. The 12 inch award has six diamond columns. The overall size includes the base and all demensions are approximate. Blue Mirror - 4 Posts - 4 1/2" x 9" x 4 1/2"
Gold Mirror - 4 Posts - 4 1/2" x 9" x 4 1/2"
Blue Mirror - 4 Posts - 4 1/2" x 10" x 4 1/2"
Gold Mirror - 4 Posts - 4 1/2" x 10" x 4 1/2"
Blue Mirror - 4 Posts - 4 1/2" x 11" x 4 1/2"
Gold Mirror - 4 Posts - 4 1/2" x 11" x 4 1/2"
Blue Mirror - 6 Posts - 5 1/2" x 12" x 5 1/2"
Gold Mirror - 6 Posts - 5 1/2" x 12" x 5 1/2"
Frosted Arrow Award is a 3/8 inch thick clear acrylic with a 3 tiered frosted arrow top. 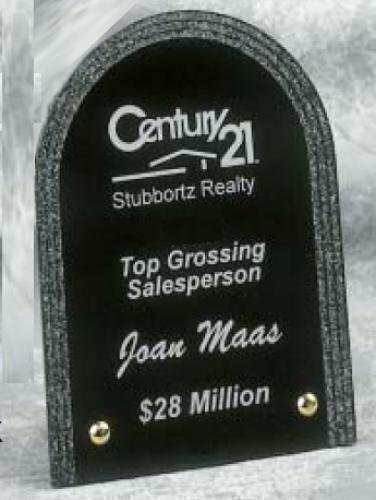 It is presented on a black plastic base.This afforably priced acrylic award is laser engraved on the back producing a very elegant effect. All demensions are approximate. 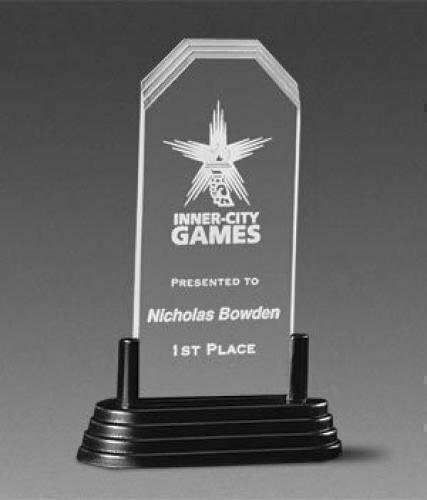 4 7/8" x 7 1/2"
Frosted Corners Award is a 3/8 inch thick clear acrylic with a 3 tiered top and notched corners. It is presented on a tiered black plastic base. 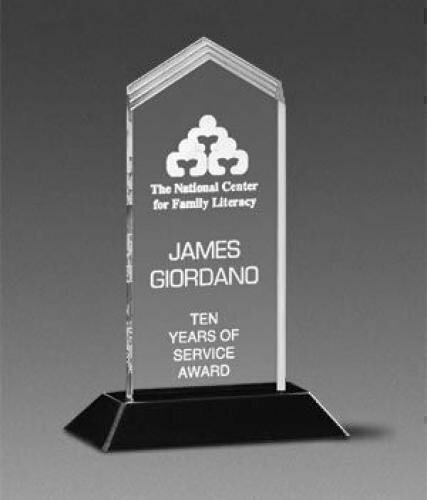 This afforably priced acrylic award is laser engraved on the back producing a very elegant effect. All demensions are approximate.